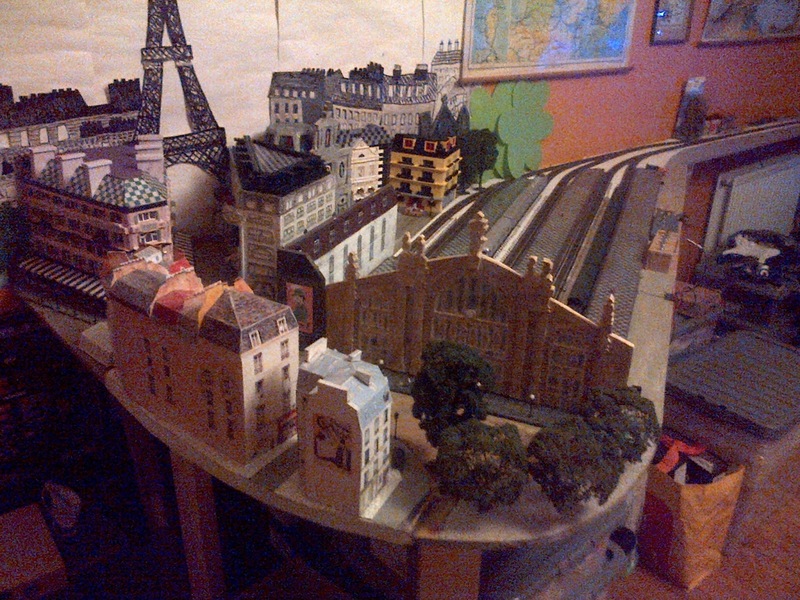 French Model Railway: A view of the layout. Looks great wish I had seen personally. Hi, do you intend posting any further updates - or have you given up on the project? Certainly not given up. Needed a break and fed up with the DIY side of it. Will resume at some point. Hello! You posted a link to your blog at Momus' Facebook page a few months ago. Not sure what made me follow the link but here I am and I've been munching through your old posts. You're doing one hell of a thing with this railway/micro-Paris. I hope you're still ploughing on with it and that it continues to offer a good alternative to the gogglebox.